In 1983, Jim Horan left his career in social work and began catering small jobs in the film industry. With just himself, a van and a growing reputation for delicious fare, Jim turned his passion into a business and Blue Plate began. Did you spend time in Wrigleyville in the early 90’s? You just may have tried one of Jim’s original sandwiches at Blue Plate’s deli. These were the building blocks that made us who we are today. 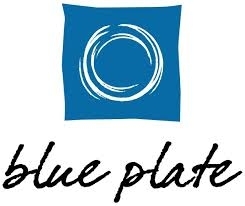 Blue Plate is not just a food company. Cultivating relationships is what we do – it’s the core of who we are, our source of inspiration and an ever present reminder of why we love our jobs. Whether a client or internal employee, a vendor or local farmer, these connections are key to our innovation, creativity, culinary insight, and most importantly, to satisfying the hungry people of Chicago. As for the future of Blue Plate? There’s more to come and it’s happening now. With the help of our innovative chefs, we’ll work with you to create an epicurean experience that captures the unique flavor of your event. We always find that clients enjoy a menu that reflects the time of year. Our offerings are regularly refreshed with the most up to date flavor highlights available. Click here to see the Brunch Run 5K & Walk menu!